Sen. Hon. Jerome Fitzgerald presents the destruction of the "Protected" Exuma Land and Sea Park during a press conference at Gambier House this week. Also present at the press event is PLP Long Island Candidate Alex Storr, Sea Breeze Hope Strachan and Carmichael Dr. Danny Johnson. Not seen in this photo is PLP Candidate for St. Annes, William Hezekiah Nottage. Ladies and gentlemen I want to thank you for attending this morning. You have just seen for yourself a video of what is going on in Bell Island and the video shows you just where it is; right in the Exuma Cays Land and Sea Park. That video was taken three weeks ago. So you can imagine how much more destruction has taken place since then. 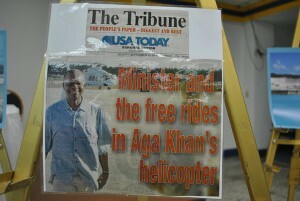 Earl Deveaux and the scandalous helicopter ride in the Aga Khan luxury Helicopter to Abaco. The impact on the environment in and around Bell Island is severe: 13 acres or 600,000 square feet of sea bed has been destroyed. Conch, fish, lobster and turtle habitats and coral beds have all been destroyed. A pond where the protected Bahama duck and countless other wildlife thrived has been so heavily impacted that they are no longer there. Hills have also been excavated. What I witnessed was both devastating and depressing. The Exuma Land and Sea Park was established in 1958 and comprises 176 square miles of land and sea. In 1959 The Bahamas National Trust was created by statute and in 1964 the Exuma Land and Sea Park was vested in the national Trust by the Crown. Conch Cut marks the south eastern border of the park. Access to bell Island is gained via Conch cut. Dredging is now going on in Conch Cut to facilitate the entrance to an inland marina on Bell Island. I want to draw your attention to something here it is called Conch Cut for a reason. There are thousands of conchs which call this area their home. This area is their home, this is where they live. Now they are being kicked out. Many of the requirements of the Environmental Impact Assesment (EIA) and the Environmental Management Plan (EMP) have been violated. For example, the silt curtains there are inadequate. Dredging continues with broken, destroyed and in some areas, there are no curtains at all. Silt can be seen spilling onto the nearby coral and other vegetation lining the seabed. and there appears not to be a full-time on-site environmental manager. Yet neither the government nor the National Trust is taking any action to correct it. In addition to the vast environmental degradation, the toll the development is taking on Bahamians especially those of the Exuma Cays is unacceptable. Many Bahamian entrepreneurs rely on the Park for their income. They are tour guides and boat captains whose guests come year after year to see the untouched beauty of this unique part of the Exumas. They are equally distressed because they fear their grandchildren won’t have this experience. Bahamians who need top to sell to straw vendors are chased out of the Park even though they use sustainable measures to harvest it. There are at least 38,000 unemployed people in the country. Many of them are out of work due to the FNM’s mismanagement of the economy like the large numbers of business owners whose establishments in New Providence had to be closed due to roadworks. 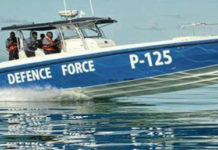 Now the Free National Movement government’s policies are threatening the future of Bahamians in the Family Islands. 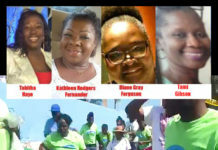 The Progressive Liberal Party has learned that a few Bahamians are working on the Bell Island project but whatever work they are doing is short-term. The FNM has talked about the importance of ecotourism but instead of preserving treasures like Bell Island for Bahamians they are allowing foreigners to destroy it. The Free National Movement Government and the Bahamas National Trust have turned a blind eye to what is going on at Bell Island and turned their backs on the Bahamian people, all for a few helicopter rides, one million dollars and who knows what else? But why should we be surprised? The FNM and the National Trust are not putting Bahamians first. They are putting their personal interest and those of their wealthy special interest ahead of Bahamians. Proof of this is their absolute and complete silence on this matter. 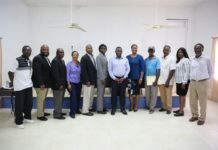 The Progressive Liberal Party therefore wants the Hubert Ingraham-led Free National Movement government and its appropriate agencies to monitor, and ensure that the development is being carried out in accordance with the conditions laid out in the developer’s licence and the requirements of the BEST Commission. The Progressive Liberal Party also notes a pattern in the actions of the Free National Movement government that has led to the destruction of the middle-class, the discouragement of entrepreneurship and the promotion of activities for special interest groups. The PLP wants the FNM to cease and desist. The destruction of the land on Bell Island and the dredging of the "Protected" seabed. The Bahamas National Trust has nothing to say. INTERESTING! 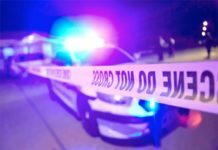 Next articleBrave Davis: Looking for a Real Plan to Fight Crime? The hopelessness of arrogance by the PM, the minister of the environment and the Bahamas National Trust to approve development in the national Exuma Park is criminal, to say the least! They ought to be put on trial for crimes against our protected environment! In our parliamentary system of government – the prime minister is a demigod. No one can bring him to heel. The prime minister exemplifies what dictators do – some Bahamians seems to like his hardheartedness too. A strong leader is good – unfortunately, when he make mistakes there is no alternative to his actions. In the case to approve development in Exuma Park it is a clear mistake against the country future interest! On the contrary, um, is that Jerome Fritzgerald aka City Market/Solomons? Errr… focus on the businesses sir, leave the Exuma fiasco to ya fellow PLP colleagues. To the PLP,FNM and DNA. Some of you have been elected or chosen to represent high office in this country. So it irks me to see those chosen people bringing wrongs happening in this country to light by using the trappings of their party affiliation instead of using the trappings of the office they represent. IMO it only shows that you are representing you and your party and not all the people you have sworn to support. You have the right to use the symbols of your office, use them, to give credibility to your cause. When the House and Senate have been dissolved, do your politicking, in the meantime show the people that you are representing them and not your own or your parties agenda. @Eagle:Are you serious?Is his credibility any less than the helicopter hiker’s? Is his credibility any less than that of the fat, disingenuous “trust” president?The Bahamian people are supposed to place faith, confidence and “trust” in the hands of the Ministry of the Environment and the Bahamas National Trust, but what has been the result so far?Conspiring to sell the Clifton historical site, the massive damage to our greatest park in Exuma, continued damage to the South Andros wildlife by pigeon shooting hunters, dredging damage to the estuary around Kamalame Cay, massive silting to Big Pond, water lens damage and loss of beach in the Albany giveaway! What’s next? Wait! Fort Charlotte to be bulldozed and the site made into the next Arawak Port warehouse district, or Government House sold and turned into condos?The list can go on…. Is his credibility any less than the helicopter hiker’s? Is his credibility any less than that of the fat, disingenuous “trust” president? The Bahamian people are supposed to place faith, confidence and “trust” in the hands of the Ministry of the Environment and the Bahamas National Trust, but what has been the result so far? Conspiring to sell the Clifton historical site, the massive damage to our greatest park in Exuma, continued damage to the South Andros wildlife by pigeon shooting hunters, dredging damage to the estuary around Kamalame Cay, massive silting to Big Pond, water lens damage and loss of beach in the Albany giveaway! What’s next? Wait! Fort Charlotte to be bulldozed and the site made into the next Arawak Port warehouse district, or Government House sold and turned into condos? Eagle, you are fool and are obviously none other than Eric Carey (the worst BNT president ever). You need to be put in jail. Let me tell all of you something, this article doesn’t even know the half of it. The ongoing destruction is far more devastating than reported in this article. The limestone residue is flowing for miles in the current, bleaching as it travels. This article also states about a pond that was affected and the wildlife is not there anymore. They dredged up the damn pond! This pond was the only true fresh water pond in the Exuma Cays. And to call it a pond is even ridiculous. It was more like a beautiful lake teeming with wildlife. It measured 345ft by 250ft. When I visited it last year, I honestly saw more wildlife than any other pond or lake in the Bahamas. I have many photos to prove it. It was one of the most picturesque lakes I have ever seen. There were also hundreds of juvenile conch just off the beach, along with stingrays and thousands of jacks. There were numerous small brain coral heads along with some star coral and bird nest coral. It was obviously a natural conch nursery for christ’s sake!. These conchs have been removed to another spot but who can say if the breeding will continue or even if they will live in another area. There is nothing worse than dredging! To allow this in a National Marine Park is a criminal disgrace. Why would we even take a chance on ruining it? Well it is quite obvious, a few people in high positions simply got paid off. I can name 5 of them for sure. 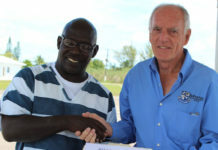 There is absolutely no other reason a Bahamian would allow any sort of possible destruction of the Exuma National Park. None! Now what happens after the Marina is finished. In come the mega yachts that pump out their bilges none stop. Then all that sludge, oil and diesel goes flowing all through the park and the mangroves with the current. The big yachts are cleaned inside and out daily. Where do all the chemicals that are hosed off go? Yep, flowing through the park. This never ends. In a few years Exuma will look green and mustard colour like the Florida Keys. To say it gives a few Bahamians jobs is again ridiculous and a pathetic excuse. The ones who have the real jobs are all foreigners. On Bell Island, even the life guards and beach staff are foreigners. Look what is happening in the rest of Exuma too. We just had quite a bit of hurricane damage in the Exuma Cays. As you pass Bock Cay or Musha Cay, all you see are white people working on the roofs and the docks. Obviously not Bahamians. They are secretly flown or helicoptered in and start working. No work permit at all. When immigration goes to the cay, they simply hide. And the stupidest thing is, Bahamians know how to build for our weather. Americans do not. But the owners would rather use and pay foreigners. If they get caught, nothing is done because these big-shots are all buddy-buddy with the big-shots in the Government. This is normal thing in the Exumas. Bahamians, please wake up and protest and stop this travesty now happening in the park. Surely there must be some caring vocal persons out there. Visit the Exuma Cays and see for yourself. You will be brokenhearted. Well by-dam. Photos and videos are definately worth more than a 1,000 words. Seeing is believing. The sad thing? We can protest all we want, but like BTC and the other issues going on in this lil Bahamaland-gone-foreign, even protests goes unanswered. What do you do? All that wildlife for a few dollars. I can’t even imagine the justification of a few people alledgely receiving kickbacks, who are making decisions that affect the entire nation for generations yet to come. Eagle was quick to jump the defense of the Minister but definitely showed his total lack of objectivity by talking about Saunders Beach – a smoke screen. What has that to do with the total disregard for the law of the land, National Trust, desecration of Exuma Land & Sea Park, total (negative) impact on the environment, underlying conflict of interest etc. etc. etc. Smoke screens and deals conducted behind closed doors should not be the order of the day. Min. Deveaux should be above reproach but his conduct in this Ministry and the important corporations that in his portfolio is horrendous. Please speak to the facts and stop attacking the messenger. Bahamians need to hear & read the facts. Shame on this Minister and his actions. Eagle, you are a typical Ingrahamite..Uncle Tom to the core!!!!! You would sell your country in an instant. Just like Ingraham!! A foreigner comes here and buys us, gets approvals that Ingraham would give no Bahamian and you are talking****? Lord please …please lord move them soon. When the House and Senate have been dissolved, do your politicking, in the meantime show the people that you are representing them and not your own or your party.